A new pool is being built inside an old hand-formed gutter pool from the 1930’s. The old pool has cracks in the floor which could not just be covered over, lest the cause of the cracks affect the new pool. The soil conditions beneath the old pool were analyzed and the proper engineering solution was devised. 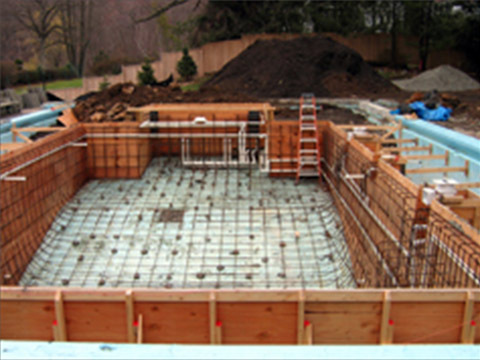 A pool being built out of the ground has different structural requirements than a pool in the ground. Steel size and placement are critical to a properly performing structure. Shooting concrete is a rough business, yet artistry and skill are required. The concrete is being shot into place via a process called ‘Shotcrete’, then hand shaped as the race is on against the clock. 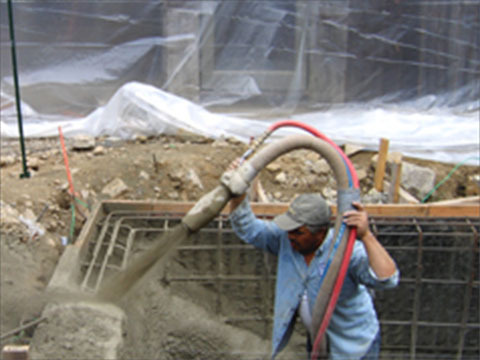 The day of the Shotcrete is one of focus and excitement.. Proper Shotcreting is a highly skilled process, with proper sequencing, mix formulas, and nozzleman techniques. Success is gained over years of training and experience. Proper construction technique and finished beauty should not be considered separately. One is the basis for the other, as the project flows in its own uniquely choreographed procession. It is not uncommon for many details to be fleshed out as construction progresses. Don’t underestimate the need for skilled Project Management. This position occupies the crossroads of the project. It requires a deep understanding of the technical phases, and a clear understanding of the ultimate aesthetic goals. 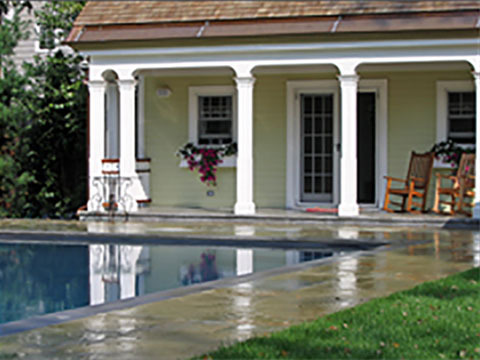 Learn more about planning for your luxury pool – Jamie Scott writes about it in Luxury Pools Magazine.